Twitter (and crop circles) tells all. Now that Radiohead has officially been announced as a Glastonbury headliner in 2017, viewers of the BBC webcam finally know what those puzzling circles appearing on the grounds were about. Radiohead’s bear logo was indeed there to declare that the English rockers were heading to their home country to headline the iconic festival next June. They’ve already had a year of festival performances including Lollapalooza (both Chicago and Berlin), Austin City Limits, and Osheaga to prepare. The appearance of the band on the Glastonbury lineup marks the end of their six-year hiatus from the UK festival. 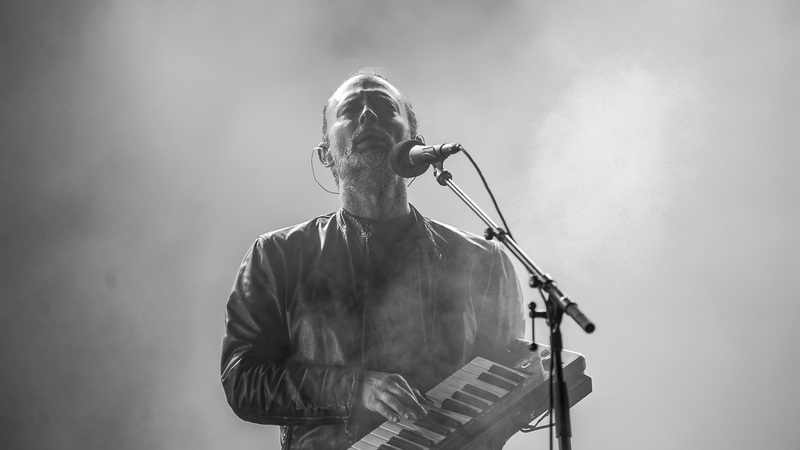 Radiohead has been a fixture at festivals this year while touring to support their newest release, A Moon Shaped Pool. Starting now, you have eight months to get ready for what is sure to be another epic set in the English countryside. 1. Being surrounded by people who love Thom Yorke as much as you do. Ok @thomyorke and @radiohead.. Beam me to Glasto. ACL was cosmic and transforming and I. Need. More. 2. Becoming completely and totally enlightened. Radiohead was the most emotional concert I ever been too. 4. Not feeling right for a really long time after the show. 5. Rocking out as though the underworld has overcome you. 7. Good-vibe law enforcement becoming necessary. 8. Leaving with the ultimate bragging rights.